Happiness and Sadness come as they please. But it is up to us to enjoy and celebrate life. So Enjoooy the new year!! 2009 majaa maadi! Thanks and Happy New Year to you all dear Uj. We wish you both a very happy prosperous, healthy&peaceful new year. 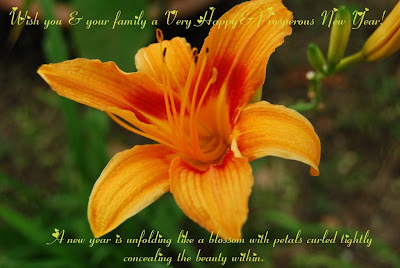 Wish u and ur family a very Happy and Prosperous New Year.